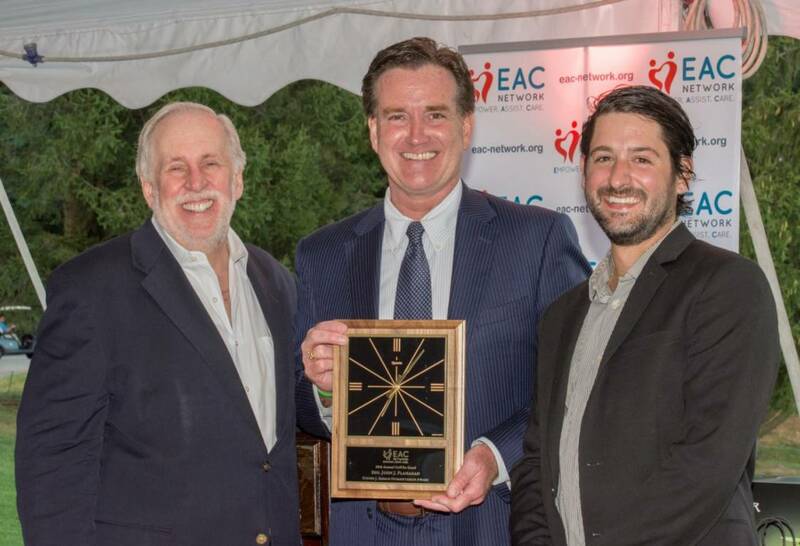 EAC Network, a Hempstead based social services agency serving Long Island and NYC, recently raised over $147,000 at its 28th Annual Golf for Good outing! HEMPSTEAD, N.Y. - Sept. 29, 2017 - PRLog -- EAC Network (https://eac-network.org/) recently hosted its 28th Annual Golf for Good outing at the prestigious Meadow Brook Club in Jericho on September 25th where over $147,000 was raised for the local human service agency's 70+ programs and services (https://eac-network.org/services/) that empower, assist, and care for people in crisis. In recognition of their dedication to helping people in need, Christopher Lambert of Axis Construction was honored and Senator John J. Flanagan of the New York State Senate received the Steven J. Eisman Humanitarian Award. "We are so grateful to everyone who attended and supported our Golf for Good this year," said Lance W. Elder, President & CEO of EAC Network. "We particularly want to thank our top sponsors, Axis Construction Corporation, the Lambert family, NFP, and BWD Sports & Entertainment for their generous support." Proceeds from the event will help fill in the areas of greatest need at EAC Network, such as the agency's Court Appointed Special Advocates (https://eac-network.org/court-appointed-special-advocates/) (CASA) program, which provides trained volunteer advocates who ensure children in foster care receive the services they deserve, with the ultimate goal to achieve permanency for the children, and its Long Island Parenting Institute (https://eac-network.org/li-parenting-institute/) (LIPI), which enhances outcomes for children by teaching mothers and fathers how to become confident and effective parents. "This is all so humbling," said Mr. Lambert in his acceptance speech. "Thank you, EAC Network, for all that you have done, and continue to do, in our community." To learn more about EAC Network, visit www.eac-network.org. EAC Network is a not-for-profit human service agency that empowers, assists, and cares for over 70,000 children, families, and seniors in crisis across Long Island and New York City. Among those we assist are children who have been abused or who are in foster care, people struggling with mental health or substance abuse issues, vulnerable seniors needing support, individuals seeking gainful employment, and more. For more information, visit us at www.eac-network.org, call (516) 539-0150, or check us out on Facebook (https://www.facebook.com/eacnet/), Twitter (https://twitter.com/EACNet), and Instagram (https://www.instagram.com/eacnet/) at @EACNet.